Put your Indians spirit on display in this Cleveland Indians Long Sleeve Hoodie! You'll be cozy on game day in this Cleveland Indians Mens Navy Blue Headline Hooded Sweatshirt. This Indians Long Sleeve Hoodie features a screen print team wordmark graphic across the chest. 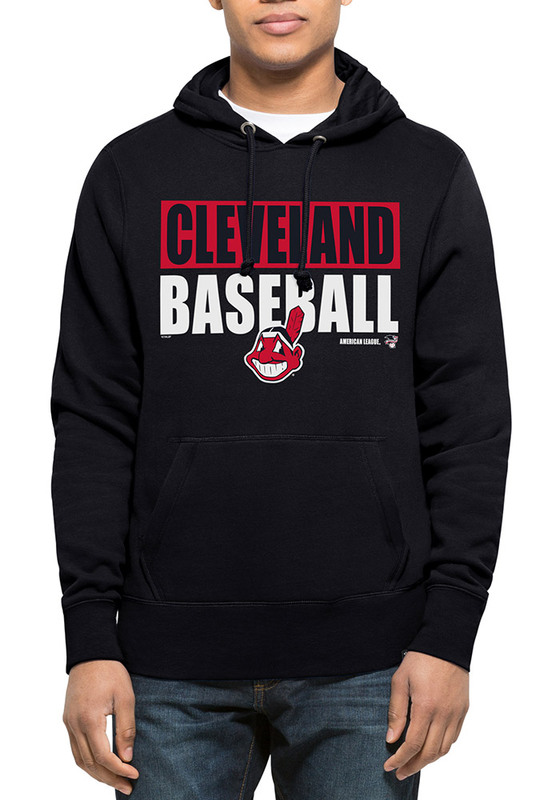 Wear your Cleveland Indians spirit with pride in this great Mens Hooded Sweatshirt! Incredibly comfortable. Fits great. Very warm. Very comfortable hoodie that doesn't shrink when washed! Very warm for the cold Kansas City nights.